Flipboard has released a new update for iPhone and iPad and in this new update, you don’t only get to consume topics you like, you can also create magazines of your own topics! 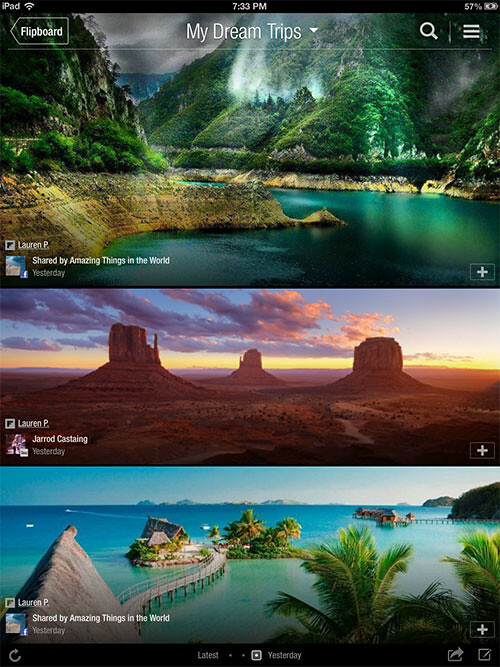 When you first launch Flipboard simply pick a few topics to start reading everything from world news to sports, travel and more. You can also add popular publications, such as The New York Times or Vanity Fair, or add Etsy to shop right from Flipboard. You can find thousands of websites, RSS feeds and interesting sources like Politico and Brain Pickings, or explore magazines being created on Flipboard in “By Our Readers” — just tap the red ribbon and use the Content Guide to get started. – You can now collect and save content into your own magazines, tap the new “+” button to get started. – Your magazines are public, but can be made private (viewable only to you). – Use the new bookmarklet to add items to your magazines from your browser. 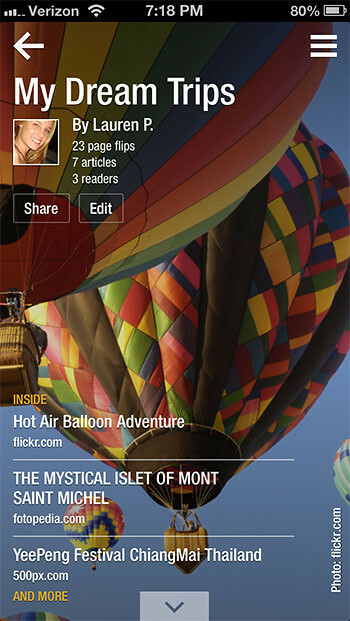 – Get Flipboard notifications when people like, comment or subscribe to your magazines. – Search is now front and center on your Flipboard, with new improved results. – Faster page-loading and faster flipping performance. – Personalized recommendations for more to add to your Flipboard.